Have you seen the sci-fi movie, “Total Recall” with Arnold Schwarzenegger? At one point the main character, played by Arnold, is in the future sort-of “travel agency” office and is offered a different kind of vacation, a “vacation from yourself”. What it means, the travel agent in the movie explains, is going on vacation as somebody else, not your normal self… Well, you don’t have to wait for the future to be able to do it. 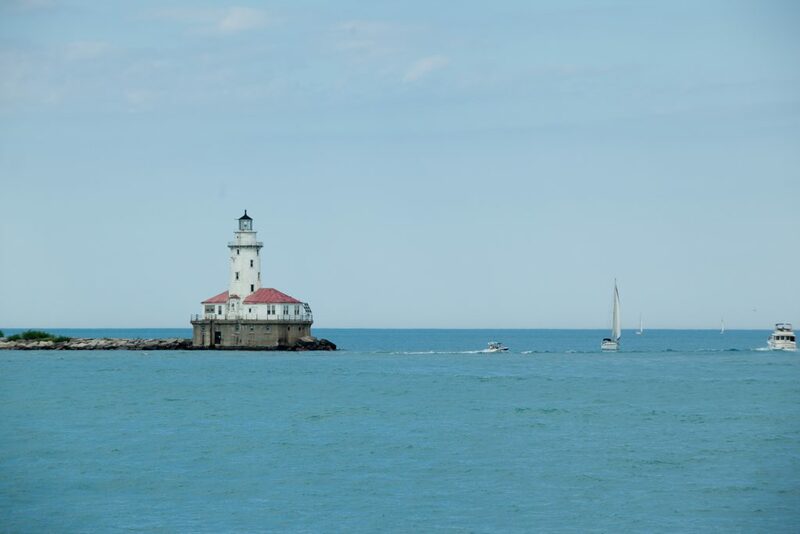 You can go on a one-of-a-kind vacation and become a lighthouse keeper for a week or two! 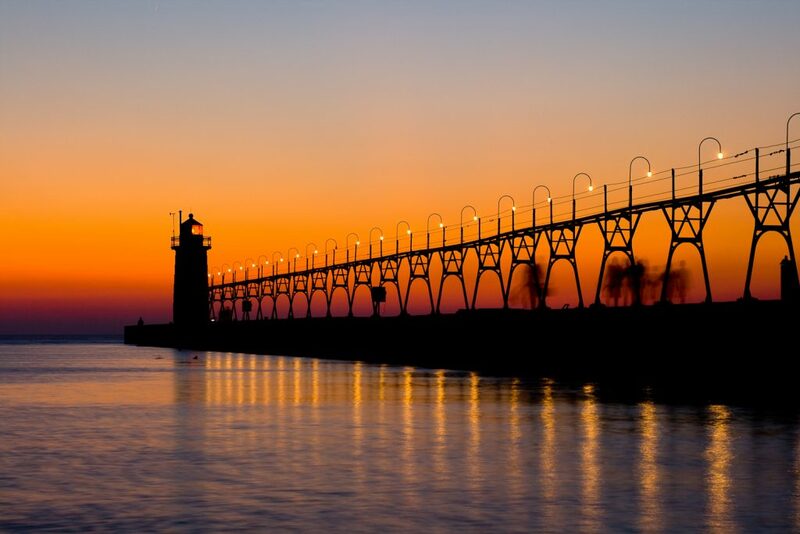 South Haven Lighthouse on Lake Michigan. 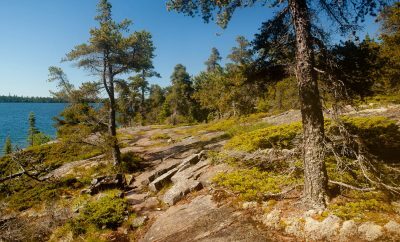 There are few different programs offered around Great Lakes by various government agencies – NPS, DNR and local governments or associations. Some of them allow you to be a lighthouse keeper for free, some require a payment. None of them pay you! This is a volunteer position. This is a kind of vacation that gives you an opportunity to live, at least a little, in the past. Now, I can see many dreamers out there thinking that it is an amazing opportunity to live a simpler, quieter life, if only for a week or two. Unfortunately, I will disturb a little this idyllic dream of yours. While you actually might be living more in the past than you would like, as some of the lighthouse facilities are a little Spartan, like no electricity (unless you generate your own), and also, sometimes, outhouses. Sometimes you also might have to live like a true light keeper and will have to survive a storm on your own, isolated for few days from the rest of the world (some of the lighthouses are on islands). Another thing that will keep you occupied, especially, if you are at the lighthouse in a popular tourist area, is playing a tour guide for most of the day. 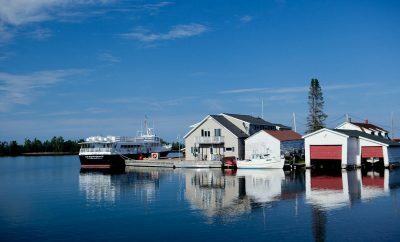 Other things that you might have to put up with are: flashing lights from the operating lighthouse, and sometimes, foghorn blasts, if there is fog. You might also be required to do some light various duties around. But still, staying at the lighthouse as a light keeper for a short while might be a memorable experience worth all the other discomforts. So if you’ve gotten that far, and are still interested, and wonder, where you might inquire about becoming a light keeper, here we go. 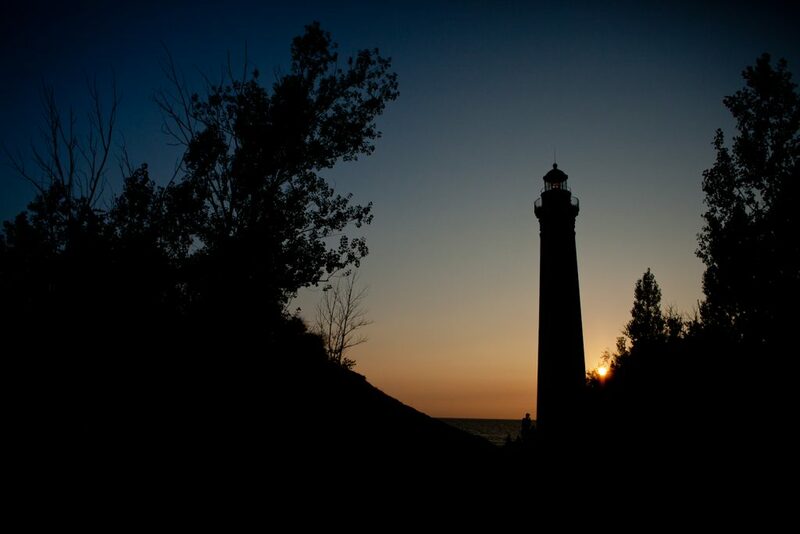 Tawas Point lighthouse is one of very few lighthouses on Lake Huron that offer a keeper program. Unfortunately, the spots for 2017 season are already filled. More info is available here: Tawas Point Lighthouse keeper program. DeTour Reef Lighthouse is another one that has keeper positions. 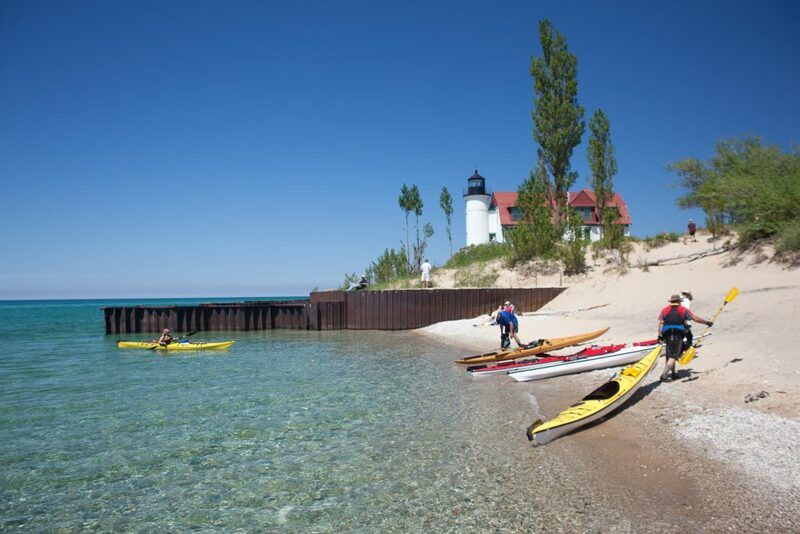 DeTour Reef Light Preservation Society provides a weekend keeper program from mid- June through Labor Day. You can find more info on the society’s website. 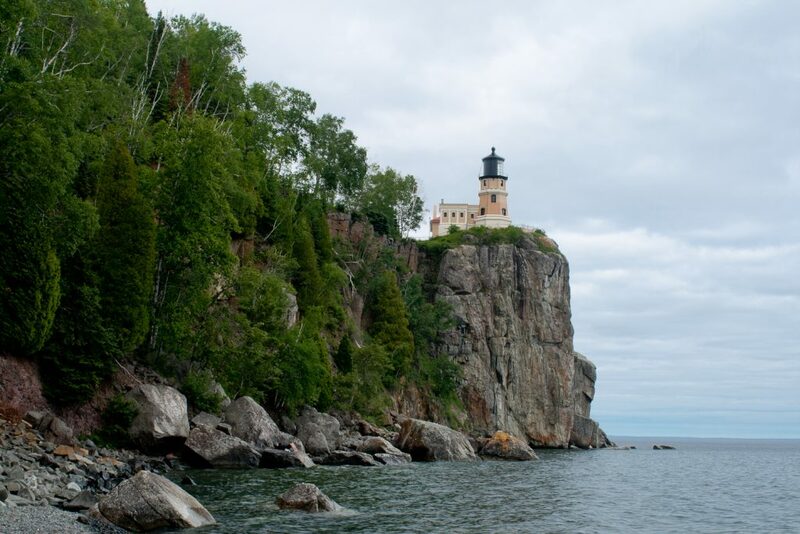 Split Rock Lighthouse on Lake Superior in Minnesota. 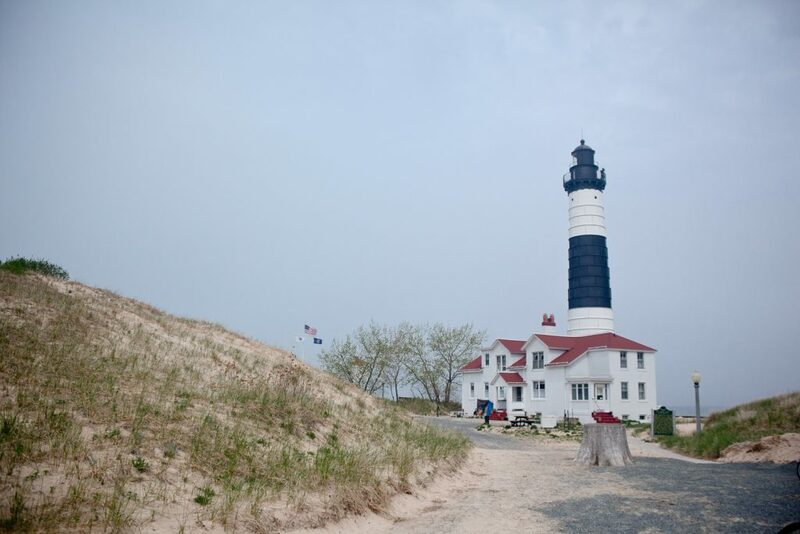 Sable Points Lighthouse Keepers Association manages the program for four lighthouses on Lake Michigan – Little Sable Point in Silver Lake S.P., Ludington North Breakwater Light, Big Sable Point in Ludington S.P. and White River Light Station. More info is available on SPLKA website. Little Sable Point Lighthouse in Silver Lake State Park. 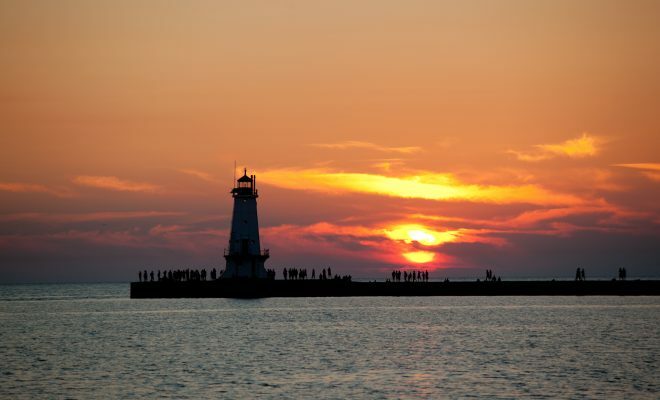 Grand Traverse Lighthouse in Northport is another place where you can vacation as a keeper. More info is available on Grand Traverse Lighthouse Museum website. Big Sable Point Lighthouse in Ludington State Park in Michigan. More info about its keeper program is available on Fox Island Lighthouse Association website. Devils Island Lighthouse in Apostle Islands National Lakeshore. Crisp Point Lighthouse is a quiet lighthouse located about 15 miles along the south shore of Lake Superior from Whitefish Point. 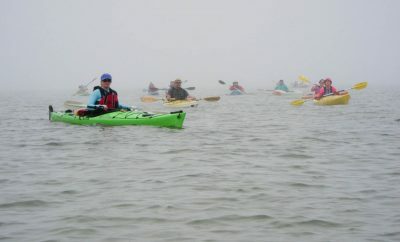 Its keeper program is managed by the Crisp Point Lighthouse Historical Society. This You can find more info on the society’s website. Au Sable Light Station located approximately 12 miles west of Grand Marais is another lighthouse with a light keeper program. This one is managed by the NPS. More info is available on NPS website. 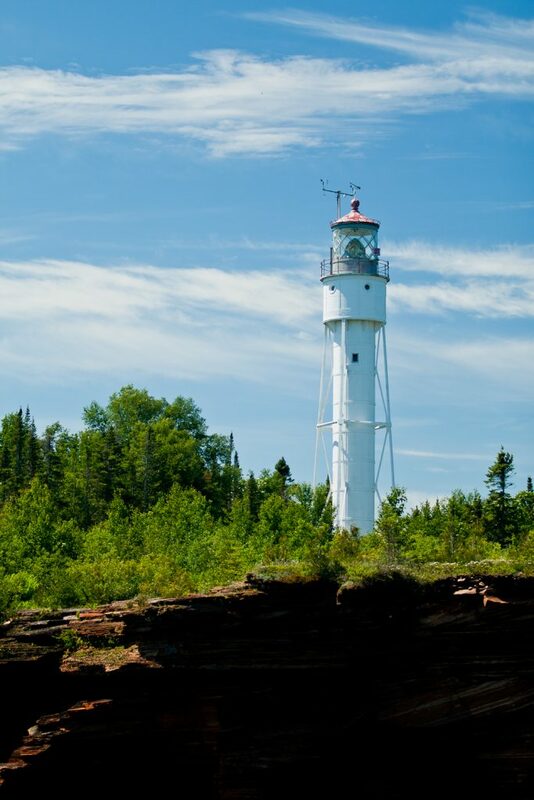 In the Apostle Islands National Lakeshore, there are two lighthouses that offer keeper positions: Devils Island Light Station and Michigan Island Light Station. More information is available on NPS website. Pottawatomie Lighthouse in the Rock Island State Park in Wisconsin is another one. Unfortunately, the spots for 2017 have been already filled. You can find more information on Friends of Rock Island State Park website. Point Betsie Lighthouse on Lake Michigan.